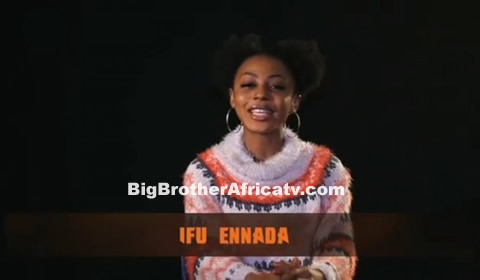 Meet Ifu Ennada: She is an actres, writer and TV host, Ifu Ennada is 26 and an indigene of Abia state. Her favourite book is "The Inverted Pyramid" and if she were an animal, she would be a parrot. She will miss her phone most whilst in the house. She believe that being a people's person will make her a favourite in the House.